The last round, which is the next-to-last featuring of the George Morton Levy Memorial Pacing Series for the males and the Blue Chip Matchmaker Series for the mares, highlights one of the last weeks before the Grand Circuit rolls into New Jersey for the start of the 2012 season (more on that and the Hambletonian Trail in our weekly update on Sunday). Next week the “Levy” final figures a field that is the best of the best of this series and that could mean tough competition considering how favorites have dominated this year’s events. 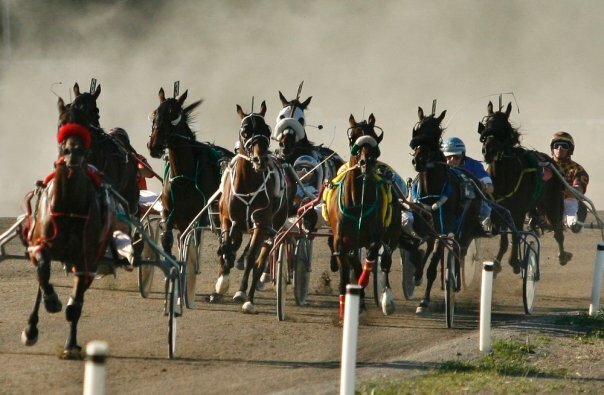 Yonkers Raceway hosts all of the events for older pacers, the mares on April 20 and the males on April 21. At Cal-Expo, TwinSpires-Cal-Expo’s exclusive no-takeout Pick 4 looks quite the wager on April 20. The April 21 “Levy” battles are in four divisions this week and again we analyze them. We must make note, though, as the penultimate fields go for berths In the final, that this year has been uncommon to past seasons, where favorites shared spots in legs and some faltered to situations where we were able to get an edge. The legs this year have been solidly simple, resulting in some terrible prices, where even exactas came back embarrassingly low. Maybe this week will provide an anomaly, which was once no such thing in these miles. Valentino returns to our favor after a weak start this series. Last week he put in a tough first-over trip, which was impressive, but he couldn't get to Real Nice. He will be seeking the points to make the final today. PH Jackpot seems to go the overland route every time. He may finally get the advantage in this if he tucks early. Razzle Dazzle was a favorite last week, got the trip, but needed the race more than his backers thought he did. He should be better this time and perhaps passed up by the public from the awful post 7. Atochia has sparkled in this series and there is no reason to think he will continue to do so and handle post 6. Sea Venture has surprised a lot of people in this series. George Brennan should arrange a way to race him well from post 8 here. Blatently Good should be racing better but has never totally embraced the half-miler in New York. Here, he will be bet far less as Real Nice, who gets the inside. Don't overlook Blatenly Good here, though, this guy wakes up when the price is right. The Blue Chip Matchmaker begins its penultimate round with Race 4 on April 20. Shacked Up dueled hard for the top last time but couldn't sustain the spot. She should improve. The second division, Race 6, finds us ready to back Billmar Scooter. Last week she went first over and sustained the place spot. She will be tough to beat and a possible outsider. Naughtytiltheend has been aggressive every start and here, although she gets post 7, she should get a good trip and possibly upset as we have been feeling she would in previous miles. The third Matchmaker mile brings us back to Arctic Fire N. Although she hasn't won yet, she should seek redemption with fervor in this final division and could be a very good price, as she was when she got in the money two back. The nightcap offers Hula's Z Tam. This week she gets the luck of the draw for the first time in awhile. She should finally win a division. Meanwhile, Summer Snow, who was a huge second last week goes up against a weaker field this week and could finally upset. The April 20 no-takeout Pick 4 at Cal-Expo looks so tempting that we offer a larger ticket than usual; not much bigger, just a smidgeon because we feel very good about this week’s combination of races, from Race 11 through Race 14. Here are, with comments, our choices for your consideration. (1) Little Anna Mae was awesome from post 10 among her division last week and finished an honest fourth. (7) Dreamsofgrandeur can come right back and win again after a great victory display. (10) Afinetouchofclass was well supported, fired early but paced out of steam and still needs to be included in this heavy opener. (1) Taxi Dancer dueled strongly but lost the battle as the choice from the 8 hole, gets the rail here and seems to tower over this group. (4) Komoda’s Fantasy was wide and still picked up the place at 7-1. 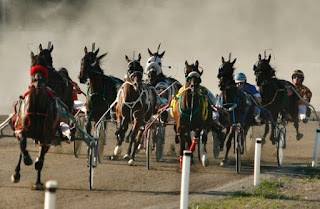 (6) Jessalilpeace was in good hands when my friend Joe Faraldo won driving in an amateur event and there is little reason to ignore the pacer in this contest. (9) Wrangler Reward got second, too, but he was on the outside for three calls. It will all come down to the single, (9) King Carver. He has been poised to toss a knockout punch and even from the outside this looks like the ring where he can do it.